Holidaymakers packing their extra thick socks and woolly hats for a winter holiday must ensure that they have proper travel insurance or risk a massive hit to their pocket. 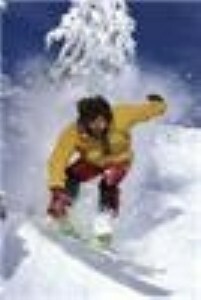 That is according to an article in the Metro, which explaines that 31 per cent of Brits are failing to take out proper insurance that covers the winter sports activities that they will be enjoying while away. Jo Field, of American Express Insurance, told the paper that a number of people headed to the US and Canada for their ski holidays last year because of poor conditions in Europe. But destinations more far-flung locations also come usually come with higher medical expenses and repatriation costs, she warned. 'When you stack it up against the cost of an insurance policy, it doesn't bear thinking about," Ms Field added. Earlier this month, esure advised skiers and snowboarders to check the small print of their travel insurance policies to make sure that they are fully covered for winter sports activities.